In a matter of hours, find yourself in paradise. 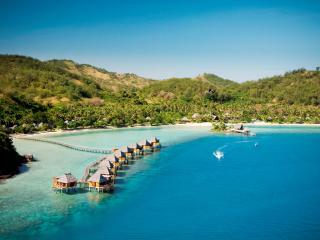 Fiji is the holidaymakers dream, an island destination that boasts palm fringed shores, golden beaches and expansive crystal seas. Spend countless hours in, out and beneath the waves where tropical marine life dart and dive amidst their kaleidoscopic habitat. On shore, head into the pristine rain-forests where cascading falls and hidden swimming holes await. Beyond the landscapes natural beauty, it's the superior standard of accommodation in Fiji that makes the tropical archipelago one of Australia's favourite holiday destinations. Luxury bures sit afloat turquoise waters, private villas bathe in the shadow of swaying palms and fully serviced resorts cater to the needs and desires of all travellers, whether you're a family, couple or heading away with friends. 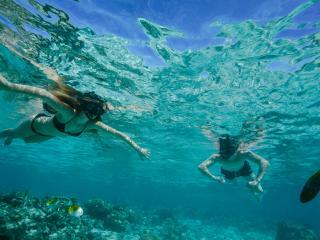 Fiji holiday packages are a great way to make the most of your tropical escape. Bundle travel essentials like flights and accommodation together with memory-making tours, attractions and activities and save yourself time, money and stress. Leaving the planning to our Travel Specialists and rest easy in the knowledge that you're getting the most out of your money, in a holiday guaranteed to be remembered long after the bags are unpacked. Curated to meet the needs and expectations of every kind of traveller, TravelOnline's exclusive holiday packages have been expertly curated to ensure you get the most from your time and money. Thanks to our unique supplier relationships, many of the deals at TravelOnline can not be found elsewhere. As a result, we're able to offer heavily discounted flights and accommodation with travel essentials like tours, insurance, attractions and meals. 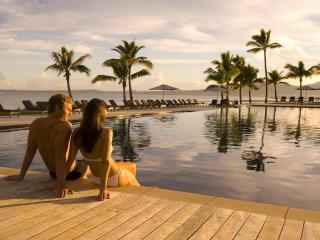 We also often offer bonus inclusions like welcome drinks, free nights accommodation and complimentary massages.